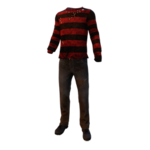 Frederick "Freddy" Charles Krueger or "The Nightmare" is one of 15 Killers currently featured in Dead by Daylight . 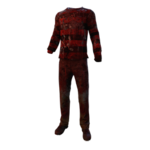 He was introduced as the Killer of CHAPTER VI: A Nightmare On Elm Street™, a Chapter DLC released on 26 October 2017. He originates from the 2010 remake of the Horror Movie of the same name, A Nightmare On Elm Street. 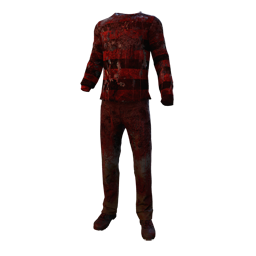 The Nightmare is a nightmare-inducing Killer, driven to pull Survivors into his Dream World using his Power, in order to be able to maul them and hinder their abilities. 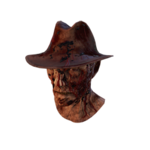 His personal Perks, Fire Up , Remember Me & Blood Warden , improve his abilities over time and make him stronger as the trial reaches its climax. His Perks revolve around stopping Survivors from fleeing. They will make surviving a real pain for all, and managing to escape the Hunting Ground won't be easy. Even while he lived, Freddy Krueger was a creature of nightmares for those who truly knew him. Hiding behind a mask of warmth and friendliness, Freddy's actual temperament was known only to his victims. When those victims were finally heard, the parents of Springwood tracked Freddy down and took the law into their own hands. They thought that fire had rid them of a monster that night, that their children were finally safe, but evil as strong as his has a way of surviving. Years passed, the horror was buried, the victims mercifully forgot. Then, somehow, Freddy returned, and dreams became nightmares once again. Freddy focused his anger on those he felt had wronged him, building up to his one true obsession, Nancy Holbrook. But he underestimated her strength and resourcefulness. Together with her friend Quentin Smith, she managed to weaken Freddy, mutilating him and leaving him for dead once more. Death didn't want Freddy the first time he encountered it, why did they think it would take him now? He emerged once more, consumed with vengeance. Then he turned his sights on the boy who had blocked his path to Nancy, his number one. 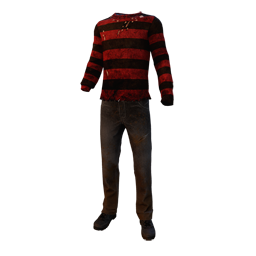 Freddy invaded Quentin's dreams, terrorizing him night after night, until his strength and defenses would be at their lowest. When the time was right, he forced the boy to return to the dark reflection of Badham Preschool. Here he would have his final revenge. Freddy stalked the boy through the school's halls. He took his time, savouring every moment of the hunt. This was what he enjoyed the most, the smell of their sweat in the air, the ragged gasps of their terrified breath. They were his to toy with. There was the boy, at the end of a long corridor. Too tired and scared to run anymore? Resigned to his fate? Freddy closed in, arms wide, claws raking the wall. Their tips traced along a pipe, the metallic shrieking only adding to the boy’s apprehension. A shower of sparks rained on the ground, and into the liquid that covered the tiled floor. A blue flame blossomed and quickly engulfed the room. The boy took flight as Freddy burst from the flames in a fury. Rooms and walls raced past in a blur until they were in Freddy's basement. There would be no escape from here. Slowly Freddy closed in on the boy. His fear was so strong now that Freddy could almost taste it, but his eyes burned with a defiant hatred that was almost admirable. 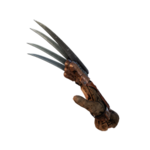 Freddy drew back his claws. Then Freddy felt another presence with him; something old, powerful and dark. A miasma enveloped him and the only sensation was a sound like wooden beams flexing and creaking in the distance. The echoing groan of metal crushed against metal. Something arcane and unknowable, half-way between language and pure terror. A moment of falling and spinning and then Freddy was back in the school. But not his school. It looked the same, but it felt different. His powers were tempered in some ways and focused in others. The boy had gone for now, but another prey walked the hallways. Some would be inconsequential; others would become his new favourites. All would fall before his claws. 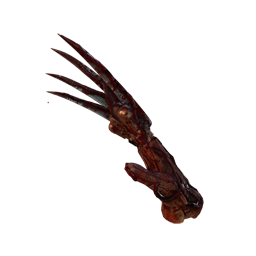 Once obtained, other Killers will be able to find The Nightmare's Perks in their respective Bloodwebs from that point onwards. 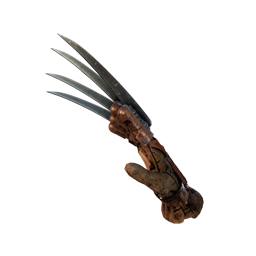 Clawed Glove is the Primary Weapon of The Nightmare. A homemade device, crafted to torture and kill. Survivors who are awake do not see or hear The Nightmare. Once targeted by The Nightmare power, Survivors enter the Dream Transition after some time. During the Dream Transition (default: 7 seconds), they can see The Nightmare intermittently. When the Dream Transition lapsed, the Survivor is pulled into the Dream World. There are currently 2 Achievements related to The Nightmare. NOTE: In the console version, Dream Master is called Dream Demon. Players may customise their Character by choosing one outfit style from each category. Blood-stained attire is obtained after The Nightmare reaches Level 50 and prestiges. Try to pull as many Survivors into the Dream World as possible; it will immensely slow down their progress towards escape. The Nightmare gives himself away due to interacting with the world around him, such as moving grass, creating mud splats, and scaring off Crows. When trying to sneak up on Survivors as the Nightmare, try not to go through grass or near Crows. Pairing the Perk Monitor & Abuse with the Red Paint Brush Add-on will give the Nightmare a Terror Radius of 0 metres and increased Field of View when not in a chase. 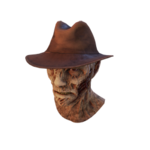 This will allow him to see asleep Survivors' Auras even when in close proximity to them and be able to sneak up on them much more easily. Disengaging from a chase to put other nearby Survivors to sleep or to scare an asleep Survivor off of an objective is not a bad idea. The Nightmare will never lose track of the Survivor who was initially being chased if they leave his Terror Radius, and it is unlikely they will have enough time to make any significant distance and wake up before the Nightmare can start pursuing them again. Though the Character was popularised by Robert Englund in the original film series, his appearance in Dead by Daylight is based on that of the 2010 film reboot, where he was portrayed by Jackie Earle Haley. 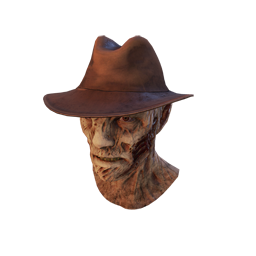 Freddy's corresponding Survivor is Quentin Smith, a Character who was created specifically for the 2010 film. The Nightmare's Memento Mori is reference to the way how he killed Jesse in the film. The Nightmare breathes the quietest out of all the Killers, with his breathing being similar in volume to that of Survivors. 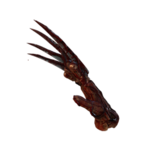 Due to being short, Freddy, unlike most other Killers, who simply step over Windows when vaulting, grabs the Window with both hands and lifts himself over it. 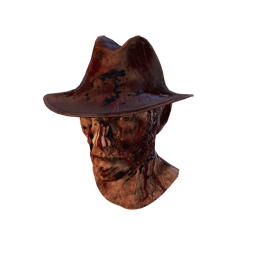 The Nightmare is the fifth licensed Character to be introduced to Dead by Daylight alongside Quentin Smith.